I’ve had a few posts drafted, but was hoping to polish them up a little. I don’t seem to be doing that, so I’ll just get them up here and move on. Starting with this . . . I finished volume one of Bancroft’s seven volume treatise on the history of California. That brings me up to the year 1800. What I’m gathering so far is that things in California are ambling along, but it is kind of a jumbled mess. In the Spanish scheme of things, presidios protect, missions assimilate, and pueblos populate. In California in 1800, the presidios are defenseless, the missions are killing the Indians almost as fast as they con convert them, and the pueblos, well . . . they’re just sort of there. The Spaniards are only interested in settling the land from San Diego to San Francisco, and only as far inland as the Coast Range. Which means all the nice part. Everything on the other side of the hills is tule or desert. And of course the Russians and British are to the north. The Spanish tried to establish a couple of missions on the Colorado, and to keep a land route open between Sonora and San Gabriel. But the mission experiment ended in a bloody uprising and as of 1800, no one had wanted to reopen the route bad enough to see if they had calmed down. The settled parts of California were kind of a mish-mash of institutions and interests. The presidios (San Francisco, Monterey, Santa Barbara, and San Diego) are a shambles. Vancouver visited the coast three times in the 1790s and laughed at how weak the Spanish defenses were. Most of the soldiers’ time seems to have been spent building and rebuilding their forts and quarters because they couldn’t stand up to the weather. The pueblos (San Jose, Branciforte, and Los Angeles) are just a step above penal colonies, the pobladores being largely people serving time for vagrancy in Guadalajara and sent north to make room for worse criminals. Occasionally some are sent back because they are too lazy to work the land set aside for them. 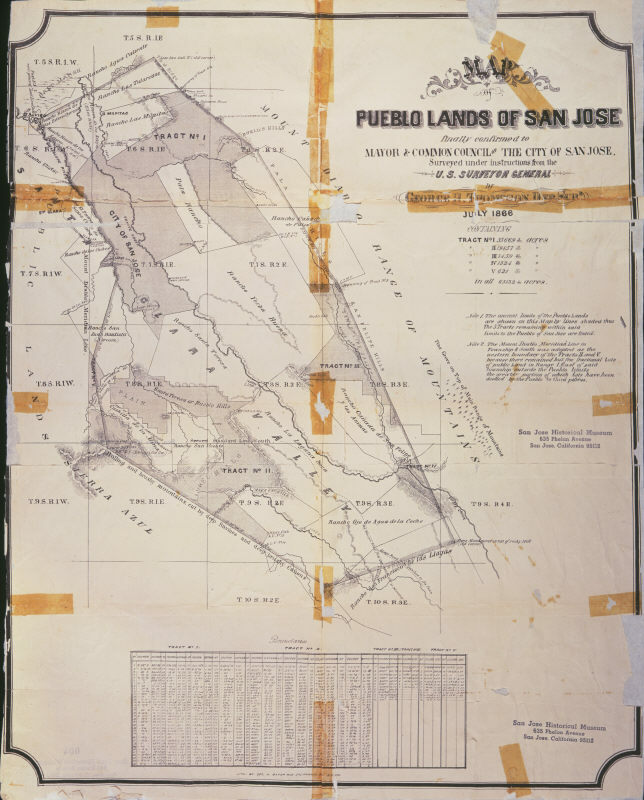 At one point in the 1790s, the settlers in San Jose got bored and started torching all the pueblo officials’ homes (Here’s a link to a map of Pueblo San Jose). 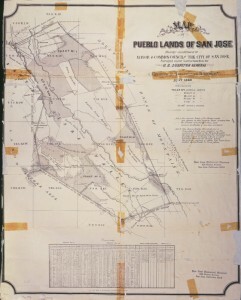 Both San Jose and Los Angeles pueblos, situated on the Rios Guadalupe and Porciuncula, respectively, had to move because their original sites flooded periodically. And the missions. Well, there are eighteen at this point, all except Santa Inez and the two across the bay; San Rafael and San Francisco Solano (Sonoma). And the overriding impression Bancroft gives of the Franciscans is that they are a bunch of spoiled children grabbing all the land and resources and native Indians they can and saying, “Mine! Mine!” They see the military as a necessary evil, the civil government as an unwanted meddler, and the pueblos as corrupting influences encroaching on their land. Their buildings keep falling down, too (seems to be a pretty recurrent problem) which doesn’t help.